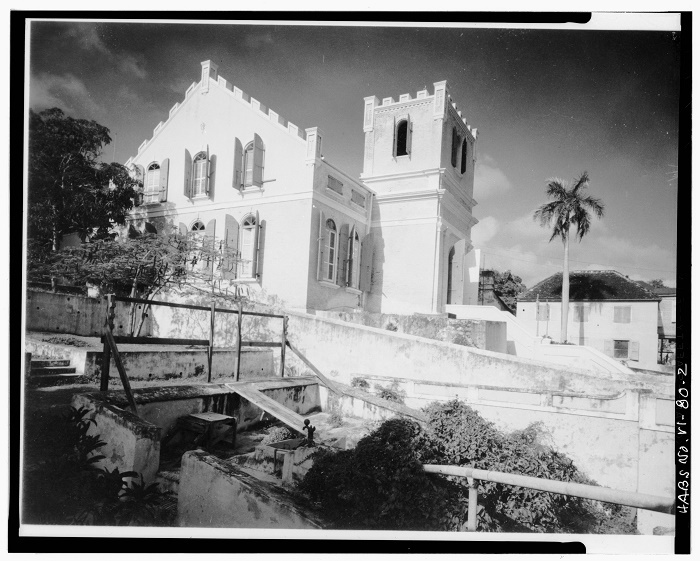 The Frederick Lutheran Church is a historical building which still nowadays serves as a church, and it is located in the capital city of the unincorporated and organized territory of the United States of America, the Virgin Islands of the United States. 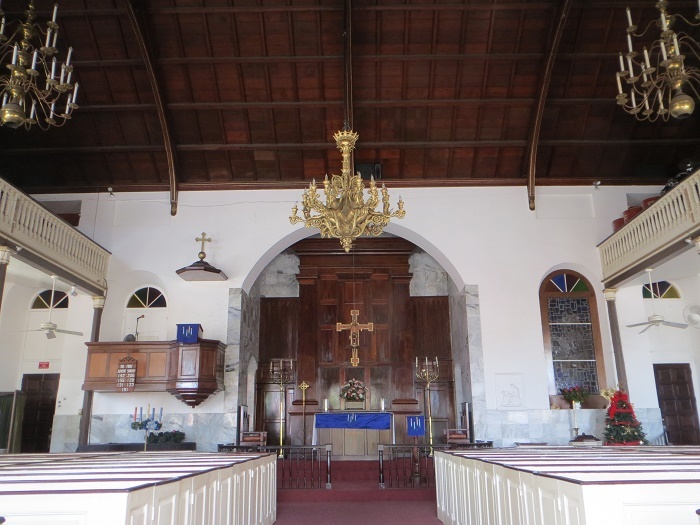 Built between 1789 and 1793 in Georgian architectural style, this centuries old structure is considered to be the first one on the island of Saint Thomas, and only the second oldest Lutheran Church in the entire western hemisphere. 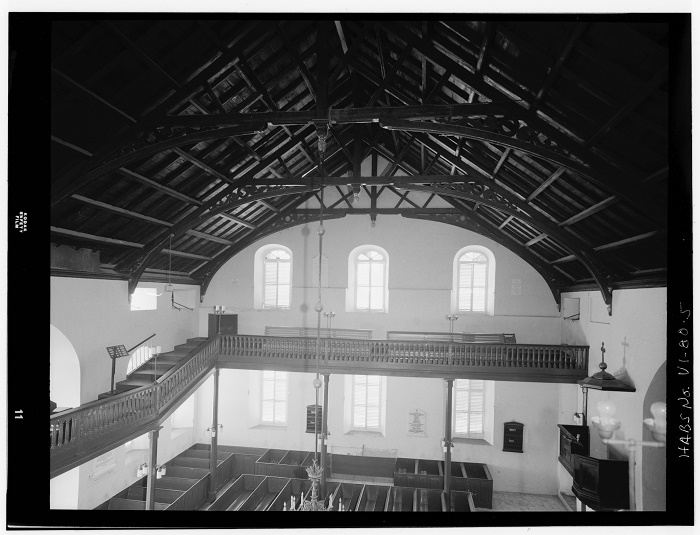 Previously, the Kingdom of Denmark–Norway owned the island group, and with that the Danish Lutheran Church in 1666, with the help of the Danish minister Kjeld Jensen, established the religious life on the island. The building which we see today was rebuilt in 1826, with a restoration that occurred in 1870. With the restorations, new Gothic Revival features were added to the existing building, such as the interesting gable tower. 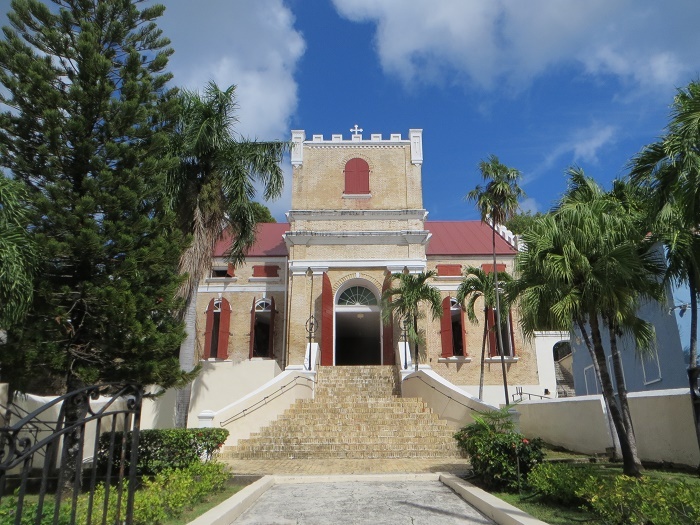 Serving as the main gathering place for the cultural and spiritual life on the island, the Frederick Lutheran Church still serves as a great symbol of the capital city where visitors can come and enjoy in the magnificent history behind it. With largely high stained-glass windows, the welcoming stairway and the arched entrance door is something what can be expected from the typical West Indian architecture. 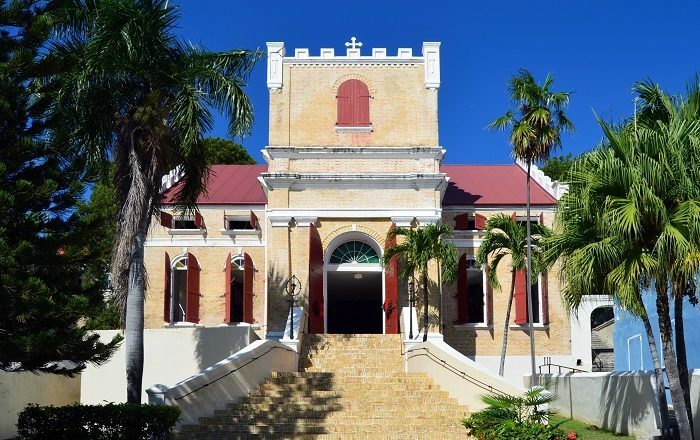 With no admission fees, this is definitely one of the most amazing, most recognizable and most intriguing highlights people can visit while in the US Virgin Islands.